WARDJet Waterjet Blog: Introducing the latest WARDJet innovation... the Emerald Series low cost waterjet! Introducing the latest WARDJet innovation... the Emerald Series low cost waterjet! 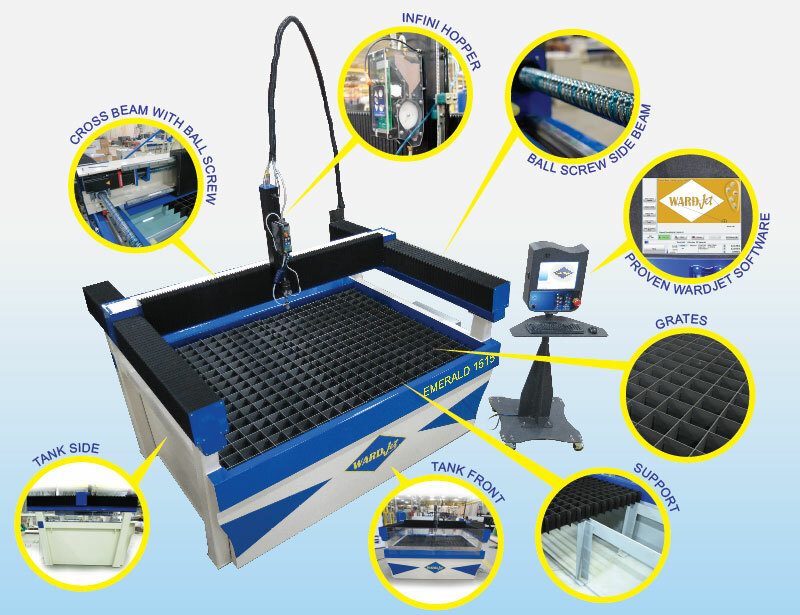 WARDJet is excited to announce the release of the Emerald Series waterjet, our high quality, low cost waterjet system! After years of design development and improvements, the WARDJet Emerald Series is available for customers today. Designed, fabricated and assembled at WARDJet headquarters in Tallmadge, OH, the Emerald Series offers many of the same components as larger, custom waterjets at a fraction of the cost. Featuring greater accessibility, the Emerald’s design allows operators the ability to load material into the cutting area from all four sides. 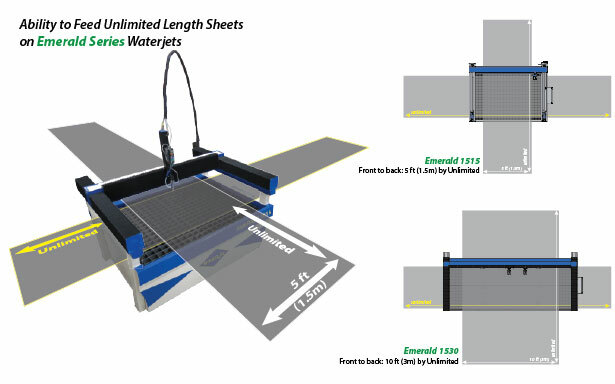 Additionally, the Emerald is capable of indexing sheets of unlimited length in all directions – a feature no other low cost waterjet offers! This amazing machine comes standard with the WARDJet Infini Hopper which boasts 9 pre-set abrasive flow rates. By incorporating the proven technology of a ballscrew drive with 25mm linear rails, the Emerald Series is able to provide accuracy equal to our higher priced Z-Series waterjet. WARDJet diagnostics support, software, and controller are the same for Emerald owners and they are on million dollar WARDJet machines. The dependability of a WARDJet machine cannot be matched. Enjoy all the quality of a WARDJet waterjet with the price tag of an economy machine by purchasing an Emerald! Visit WARDJet's Emerald page to find out more information on this exciting new waterjet system.